Bryan is the owner of Visaudio Designs, a company specializing in design for the pageantry arts. He has designed for a number of ensembles in the United States, East Asia, and Europe. His arrangements and compositions have helped many ensembles earn numerous gold medals on their local circuits as well as many WGI finalists, including most notably Monarch Independent, Pioneer Indoor (2014, 2015 PIO Silver Medalists), Burleson Centennial HS (2017 PSO Gold Medalist, 2018 PSW Finalist), Clear Brook HS (2018 PSO Gold Medalist, 2011, 2015, 2017 PSO Silver Medalists), Brookwood Independent (2013 PIA Gold Medalist), Fair Lawn HS (2017 PSA Gold Medalist), ED White HS (2017 PSA Silver Medalist), and Dorman HS (2018 PSA Bronze Medalist). He is currently the front ensemble arranger and electronics designer for The Colts Drum and Bugle Corps, and was a marching member of Spirit of Atlanta, Southwind, and The Cavaliers. Bryan is also the voice and instructor behind Virtual Drumline Demystified, a tutorial series for the Virtual Drumline sound library from Tapspace Publications. While not working on music, Bryan also dabbles in graphic design, photography, enjoys spending time outdoors, and has an affinity for all things on the leading edge of technology. 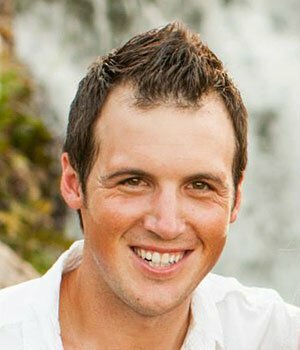 He proudly endorses Pearl/Adams musical instruments, Innovative Percussion, and Remo Drumheads, and currently resides in Carrollton, Georgia with his wife Emily and their pack of dogs and cats. 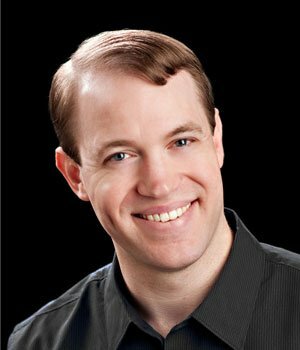 A native of Greenville, Texas, Richard Kearns serves as Percussion Director at Burleson Centennial High School in the Burleson Independent School District (Burleson, TX). He was previously the Percussion Director of Azle High School (Azle, TX), where the Azle Drumline and Percussion Section won numerous awards including Lonestar Classic Champions, NTCA Champions, the 2014 TCGC PSO Champions and were Open Class Semi-Finalists at the WGI World Championships in Dayton, Ohio. Richard’s passion within the activity also goes well beyond just teaching percussion. His abilities as a conceptual and visual designer for Marching Band and Indoor Drumline has turned out many crowd-pleasing productions, including the 2016 WGI PIO Gold Medalists, Vigilantes Indoor Percussion, and the 2017 PSO Gold Medalists and 2018 PSW 6th place Finalists, Burleson Centennial High School. Prior to Burleson and Azle, Richard was the Percussion Director at Palestine High School, as well as Battery/Drumline coordinator at Tyler Jr. College. Upon joining the Palestine Band Staff in 2008, the PHS Percussion Program received numerous awards in the TCGC & NTCA Indoor Drumline Circuits, Lonestar & Plano Drumline Competitions. In 2011, the Palestine Indoor Drumline was the TCGC Open Class Champion. His instructional contributions for TJC helped lead the group to their WGI PIO World Championship in 2008, promotion to WGI World Class, and becoming consecutive Finalists at the WGI World Championships. Richard attended Tyler Junior College, and was section leader for the TJC Drumline. After attending TJC, Richard continued his studies at Texas State University in San Marcos, Texas where his focus was Music Education. Richard’s drum corps performance experience was with the Capital Regiment Drum & Bugle Corps and Magic of Orlando. He later returned to the staff of Capital Regiment as the Snare Technician. Bill Castillo is a percussion instructor and composer from St. Louis, Missouri. Most recently, Bill was a member of the percussion staff for Rockwood Summit High School Marching Band. 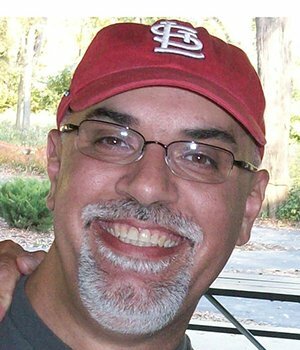 Bill was the Program Coordinator and an arranger for South County United Percussion based out of St. Louis. Bill has also written for and taught the Northwest High School percussion program. Before Northwest High School, Bill was the coordinator for the Belleville East High School percussion program. His drumlines and percussion ensembles have won numerous awards across the country. He has held similar positions at Wentzville High School and Belleville West High School. Bill is also an in demand arranger for numerous high school programs across the country. Bill is an in demand judge for marching contests in the fall and winter seasons. Bill has taught camps at Truman State University. He has performed with various ensembles in the St. Louis area and given percussion clinics across the country. Bill is owner of Messy Desk Music, a company that specializes in music writing, engraving and recording. He has worked with Key Poulan Music, JKS Music, Standing ‘O’ Marching, Luke McMillan Music, Lorenz Music, and Tapspace Publications among other companies. He has presented clinics on Virtual Drumline, Sibelius, and Finale software across the country. Bill is a member of Phi Mu Alpha Sinfonia, a professional music fraternity for men. He is also a proud endorser of Innovative Percussion Sticks and Mallets, Pearl Drums and Adams Keyboards, and Remo Drumheads. Bill is married to his wife Lori and they have three boys together.